Tangy raspberries and creamy avocado combine to make an elegant dessert. You do not have to tell anyone that there is no added sugar or that this no-cook mousse is loaded with Vitamin C. Just smile to yourself and enjoy a cool dessert. If the raspberries are frozen, that them to room with a minute on the microwave or a while at room temperature. Strain the berries through mesh strainer, pushing the pulp and juice through with a mixing spoon or spatula. Work as much through as you can, and pour the lemon juice through to get the last bit. Peel the avocados and put them in a blender carafe. Add all but a quarter cup of the strained raspberries and blend well. If you wish, thin with the milk, coconut milk or almond milk and blend until smooth. Take out four fruit nappies. Spoon about a tablespoon of the strained raspberries into the bottom of each bowl. Fill each bowl with the mousse, then top with the remaining strained raspberries. With a chopstick or silverware handle, gently stir the mouse, creating a swirl pattern. Chill before serving- if your family will let you. I shared this link at Meatless Mondays, Martha Monday, Ruth's Real Food, Fat Tuesday, Traditional Tuesdays , Tasty Tuesdays, the Hearth and Soul Blog Hop, Slightly Indulgent Tuesdays, Real Food Wednesdays, Allergy Free Wednesdays, Gluten Free Wednesdays, Full Plate Thursday, Simple Lives Thursday, Pennywise Platter Thursday, Fight Back Friday, Freaky Friday, Sugar Free Sunday and the Friday Vegetarian Potluck. Oh my, that sounds sooo delicious and a choccy one as well. Couldn't get better than that! Yummy this looks fab! I've been making something similar for breaky lately. Fz rasps/strawberries, spinach, coconut milk, and avocado. I bet it's tasty with spinach. The boys are great about eating spinach on pizza or pasta. Perhaps it is time to add another dimension to dessert. Was really surprised to see avocado in a mousse recipe! This looks delicious and quite easy to make. I've got to try it! Thanks! If you Google Avocado Mousse you will find oodles of recipes for chocolate. As much as I'd like to say it was my original thought, I swear I came up with the raspberry idea on my own! 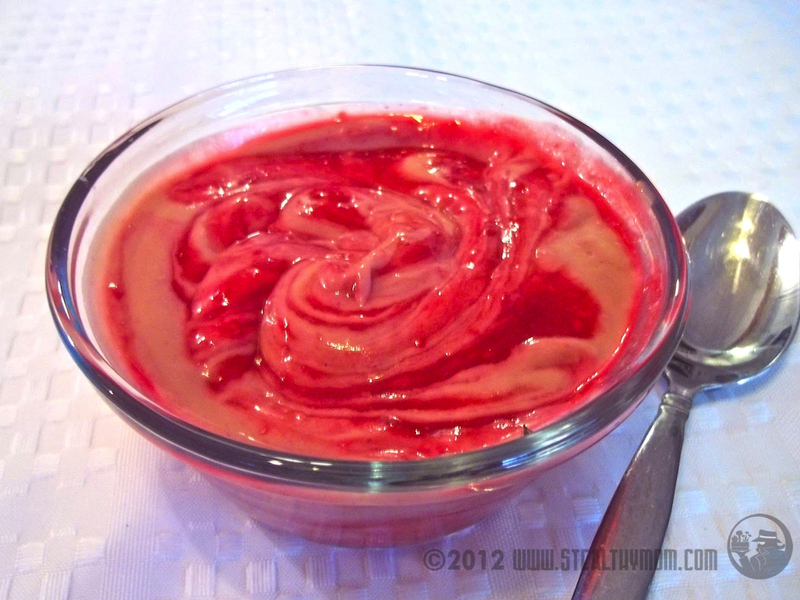 I'm a big fan of raw foods and I love this simple dessert. The avocado surprised me since I would have tried banana. Do you think either one would work? Frozen bananas (ripe and peeled before you freeze 'em) blend up to be a lot like ice cream. We have "milk shakes" often with frozen bananas and berries. Now I extra can't wait until our raspberries are ripe! What a wonderful, healthy treat! Thank you for sharing your delicious raspberry mousse with the Hearth and Soul hop. That looks delicious. My boys are into avocados these days, I bet they would like it. This sounds amazing! I'm making it!